Hello! 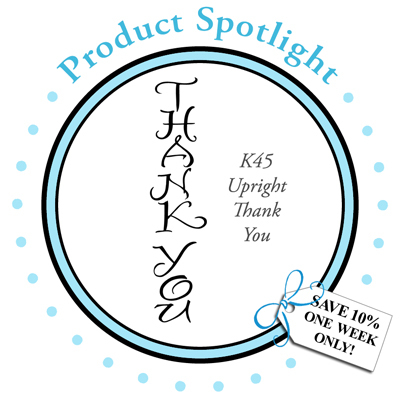 It's Product Spotlight Day at DeNami Design, and today we're featuring the Upright Thank You stamp! It's super versatile and would be a GREAT addition to your stamp collection! I was SO EXCITED to finally ink up the Ornamental Flowers Stamp Set, which is what I used to create the pattern on the left (with the help of my handy dandy Stamp-A-Ma-Jig, of course)! Hope you like my creation for today! Be sure to stop by the DeNami Design Blog to see what my fellow DT gals and our Guest Designer, Danielle, made! And remember, the Upright Thank You stamp is ten percent off this week! YAY! This is a beauty! 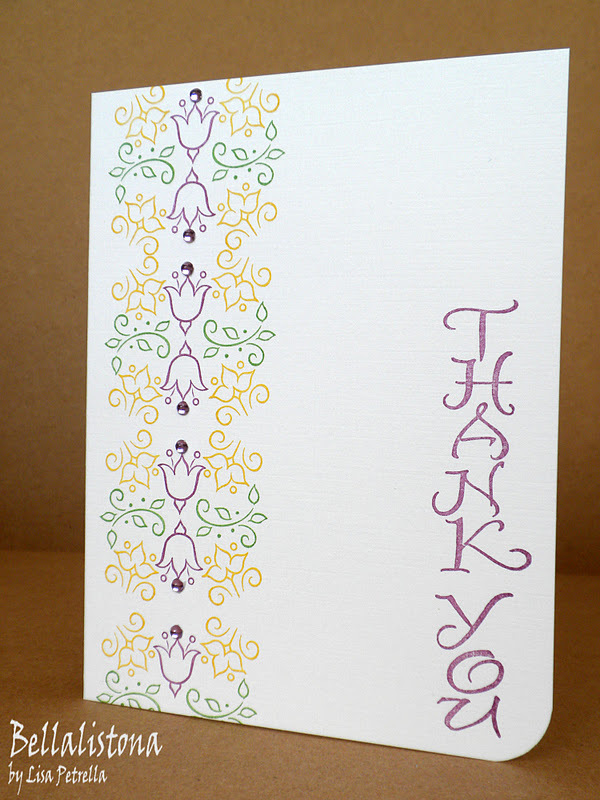 Love the pretty floral pattern you've created. 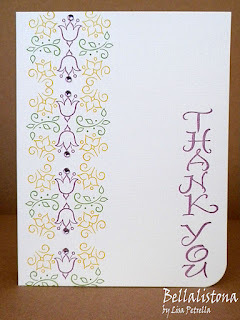 This is sooooo pretty Lisa, and I agree that it would look fabulous done up in different colors for a card set!